You are here: Home » Blog » What Makes a Memorable Marketing Hook? 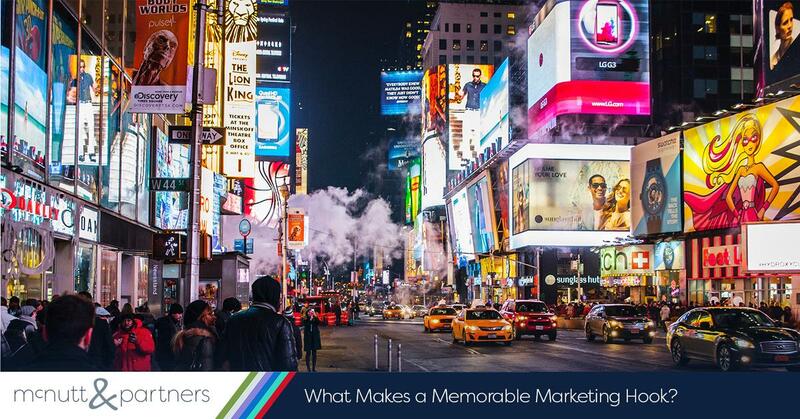 What Makes a Memorable Marketing Hook? As a brand, your consistent, overarching goal is likely to attract customers who will spend money to support your business. Let’s be honest—you wouldn’t be in business if you were not trying to make money. In bringing up the concept of a marketing hook, we must cue the fishing analogies. In this sense, you can think of the marketing hook as not only the hook itself used to catch the fish, but also the bait to attract them. You want your bait to be enticing—to appeal to the fish you are trying to catch so that you can get them on the hook. When creating a memorable marketing hook, you’re essentially doing the same thing. The content of the hook is the bait that you will use to attract customers to your brand. They announce new information. Sometimes your hook will serve simply to announce something new that’s happening with your brand. Perhaps you just picked up a new product, or your brick-and-mortar store is expanding. You’ll want to share this new information with your clientele. They’re creative. A trend you’ll notice among some of our famous taglines mentioned above is that they include a play on words, or a pun. (i.e. The U.S. Postal Service’s “We deliver” implies that the service delivers packages, but it also delivers you the quality service you expect). Consumers will appreciate the effort spent on creativity, and a play on words will make them stop to think twice. The more time they spend thinking about your brand, the better. They are unique. As with a logo, a marketing hook is a sensory way that people will identify with your brand, whether they see it on a billboard, hear it on a TV commercial or read it in an email. Thus, you want to make sure you stand out among the competition and that you are not ripping off an existing hook. They elicit emotion. Happiness, positivity, pride, progress—these are all examples of emotions that a memorable marketing hook should portray. Take the Marines: “The few. The proud. The Marines.” This hook effectively makes the audience feel prideful for this group that puts its lives on the line to protect our country. Whether it’s whimsy, security, passion—an emotion that is able to be portrayed in just a few words is a sign of success. A memorable marketing hook is one that will not only draw customers in, but one that they will continue to remember and repeat to their fellow consumers. Need help coming up with a creative hook for your business? The McNutt & Partners team can help. Call us at 334-521-1010, or visit our contact page!